고려대학교의 전신인 보성전문학교가 개교 30주년을 기념하여 세운 도서관 건물이다. 1935년에 공사를 시작하여 1937년에 완성한 5층 건물로 설계는 본관을 설계한 박동진이 하였다. 현재 이 건물은 대학원동과 교수연구실로 이용하고 있다. 건축의 양식과 구조는 미국 듀크대학의 도서관을 참고 하였다고 한다. 모서리 부분의 서양 중세풍의 5층 탑 꼭대기 부분은 정교한 고딕식 창장식으로 하여 가장 돋보인다. 형태는 웅장하며 세부적으로는 섬세한 화강암으로 지은 고딕식 건축이다. 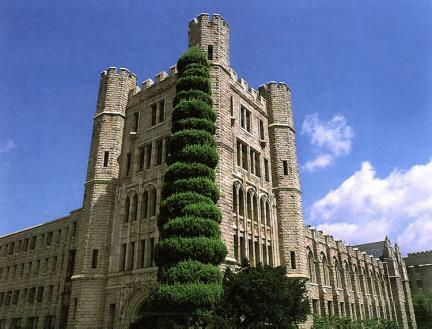 This library building was built to commemorate the 30th anniversary of the opening of Boseong College, the predecessor of the present Korea University. 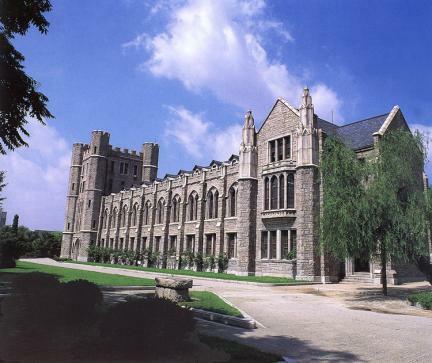 It is a 5-story building designed by Park Dong-jin who had designed the main building of the same college. Typical of buildings of the Gothic style, it was built of fine granite, and the building work was commenced in 1935 and finished in 1937. Presently it is used for research rooms of professors and the graduate school. 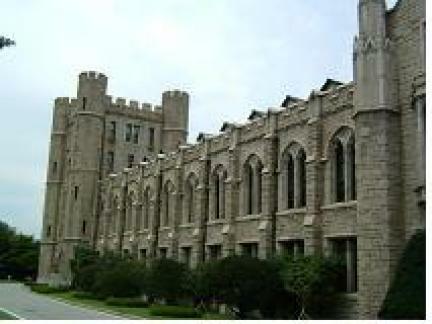 As for the pattern and structure of the building, it is said to have been based on the library of Duke University, U.S.A. The most outstanding part of this building is the top of the 5-story tower at the corner of the building built in the western medieval style, for its precise decoration and for the windows in the Gothic style.